Flappy Bird was Tom's first complete game for the VMU. 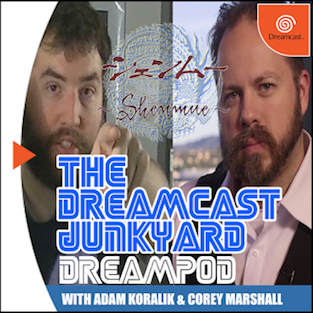 Yeah, the VMU is the unsung hero of the Dreamcast in my opinion. 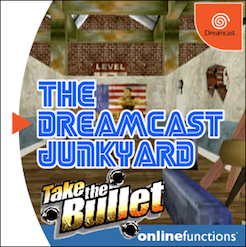 You’re based in Australia - did Ozisoft's 'disastrous' launch of the Dreamcast over there affect how many games you had access to? At the time yes. 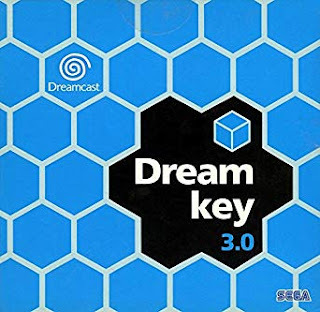 There was really only one store I knew of that stocked Dreamcast games (Electronics Boutique), but they got in most of the major releases. They even got some copies of Shenmue 2 which I was surprised to see back in the day. That’s good to hear. 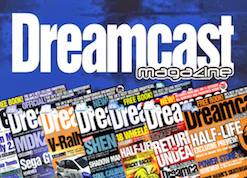 Scott 'DocEggfan' Marley has spoken about his difficulties being an Australian Dreamcast owner on the DreamPod in the past. 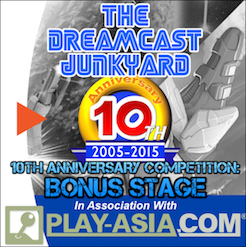 Let’s talk about your development history - what made you want to create games for the humble VMU? Well I’ve always wanted to make and release my own game, and the VMU seemed like an attainable goal. I actually used to program games on my old TI-83 graphics calculator back in high school and the VMU seemed like a natural evolution from that. 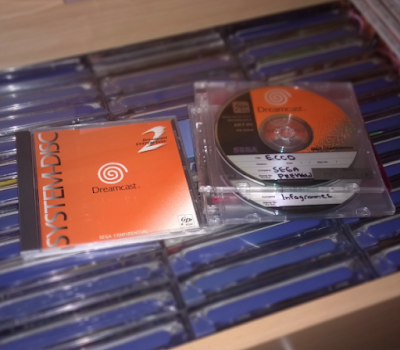 Some of Tom's impressive Dreamcast collection. 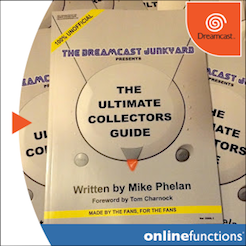 Have you ever considered developing a game for the Dreamcast itself? I have considered it, but to make anything decent I really feel like I’d struggle just being one person with limited time. With the VMU I feel like I can get the absolute most out of it just being a sole developer. It’s good doing something unique as well! That makes total sense to be honest. Moving on to the games you’ve created, I nearly coughed up a lung when I learned about Flappy Bird on the VMU, and I downloaded it almost immediatley to try it out. 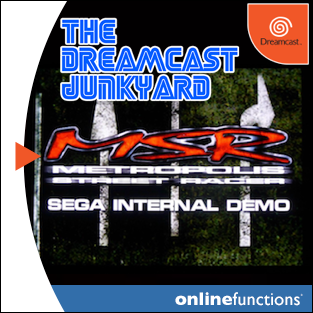 It’s such a great conversion - what gave you the idea to try porting that game in particular? I’m not too sure to be honest! I was playing it on my phone (for some reason) and it just clicked it might be a good fit for the limitations of the VMU. It’s obviously not perfect (the bird only moves up and down, it doesn't actually flap) but it still works OK. Demonstrating how the grayscale was achieved. It does - it's a great novelty in its own right. 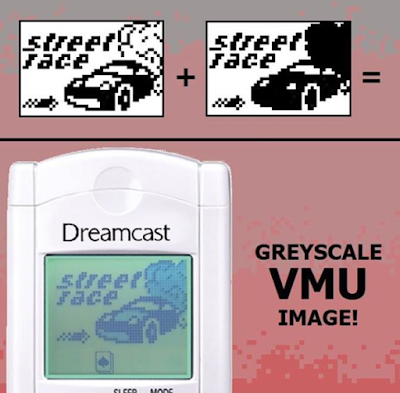 Next came Street Race - were you suprised with what the VMU could actually do? I don’t think I’ve seen an 'official' VMU game on the same technical level as Street Race! Yeah, Street Race was a game I started years ago and has gone through about 10 iterations. Each time I found a cool new trick I would add it to the game (like the greyscale graphics). To be honest there were alot of limitations in developing it, in terms of the speed it ran at etc., but I think the VMU can do alot more than people think it can. I’m sure it can be pushed even further! Interesting...does this mean we'll be seeing a port of DOOM some time soon then?! Haha! 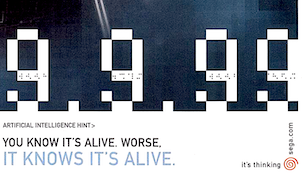 I’m pretty sure there is soom kind of DOOM-like game from back when people actually made VMU homebrew. 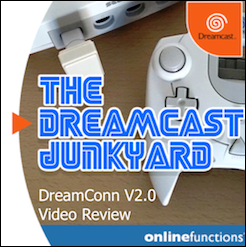 I think it was only one of those VMU animations though, no actual gameplay. 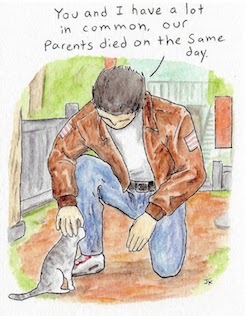 If I get around to it, maybe. Pokemon GO VMU is planned for 2017. I'll hold you to that. Make sure you get the music in though. I can't stand another silent version of DOOM (obligatory Jaguar reference: check!). 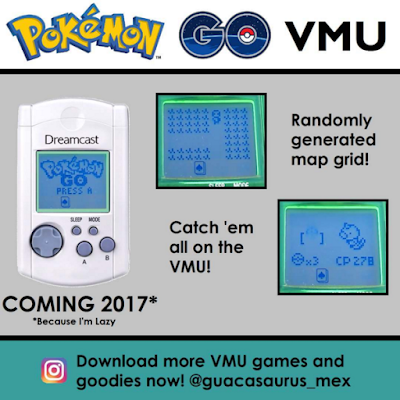 Tom, your next game for the VMU has caused something of a media frenzy with every site under the sun reporting on it - Pokémon GO for the VMU. 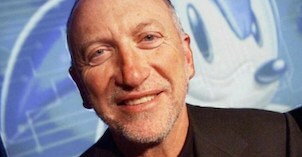 It’s an inspired choice of game - again, where did the idea come from? A friend actually suggested it to me. So I thought I’d give it a go. Funny thing is I’ve never actually played Pokémon GO, so it’s really just based off what I’ve seen in YouTube videos etc. To be honest I’ve only played Pokémon GO myself for about 10 minutes! You state that the game will likely come in 2017 - has the attention it has garnered made you want to release it sooner? It’s not so much about when I want to release it, but when I can find time to work on it! The basic engine is already in place, I pretty much just need to draw in all the Pokémon. 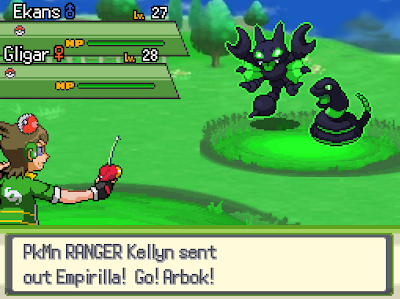 Pokemon Uranium was taken down by Nintendo. 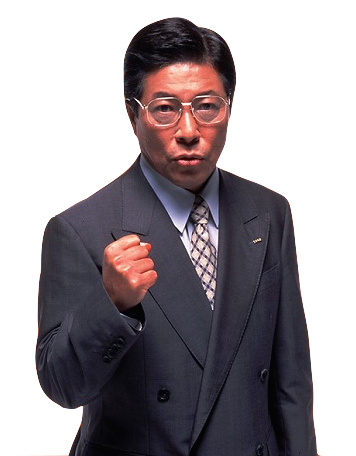 Are you at all worried about what Nintendo might do? They already pulled down Pokémon Uranium recently and stopped the Metroid 2 remake from being distributed online. Do you think they’ll come after you next? Well, I hope not. I’ve actually had a few people say this to me in recent days (I haven’t really followed Nintendo since the Gamecube days) and I had no idea how strict they were with their IP. 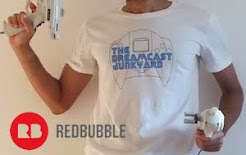 I’m sure The Dreamcast Junkyard knows all too well about cease and desist notices haha! Indeed we do! 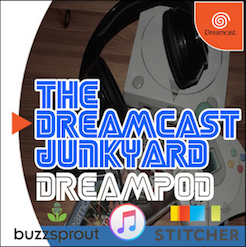 Tom, it’s been a pleasure speaking with you and we do hope Nintendo doesn’t try to stop your work with the humble VMU - thanks for speaking with us and we hope to report on VMU Pokemon GO when it drops! No worries, it’s been a pleasure. If Nintendo do, I have plenty of other original content coming anyway, so not to worry! 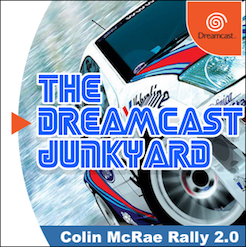 Street Race can be downloaded following the links below. DOOM on the VMU?! Yes please!